Subscription of additional shares in the company's wholly-owned sub, Empire Manufacturing Sdn. Bhd. Subscription of additional shares in the company's wholly-owned sub, Empire International Sdn. Bhd. Members' voluntary liquidation of Masters Corporation Pte. Ltd. Subscription of additional shares in Masters Corporation Pte. Ltd. Early graduation from the rehabilitation scheme of Caffe Bene Co., Ltd.
Food Empire climbs 6 notches to 59th place for "Most Valueable Singapore Brands"
Subscribe of additional shares in Masters Corporation Pte. Ltd.
Update on rehabilitation scheme of Caffe Bene Co., Ltd.
Dilution of shareholdings in 101 Caffe S.r.l. Incorporation of a wholly-owned subsidiary, FE Foods Philippines Inc. Subscription of shares in 101 Caffe S.R.L. Members' Voluntary Liquidation of a Wholly-Owned Dormant Subsidiary, Naturant System Inc.
Members' Voluntary Liquidation of a Wholly-Owned Dormant Subsidiary, Naturant Systems Inc.
INCREASE IN THE REGISTERED CAPITAL OF A WHOLLY-OWNED SUBSIDIARY, MEI KA FEI (HOHHOT) TRADE CO., LTD. Subscription of shares in the Company's wholly-owned subsidiary, Empire Manufacturing Sdn. Bhd. Subscription of additional shares in the Company's subsidiary, Tea Avenue Pte. 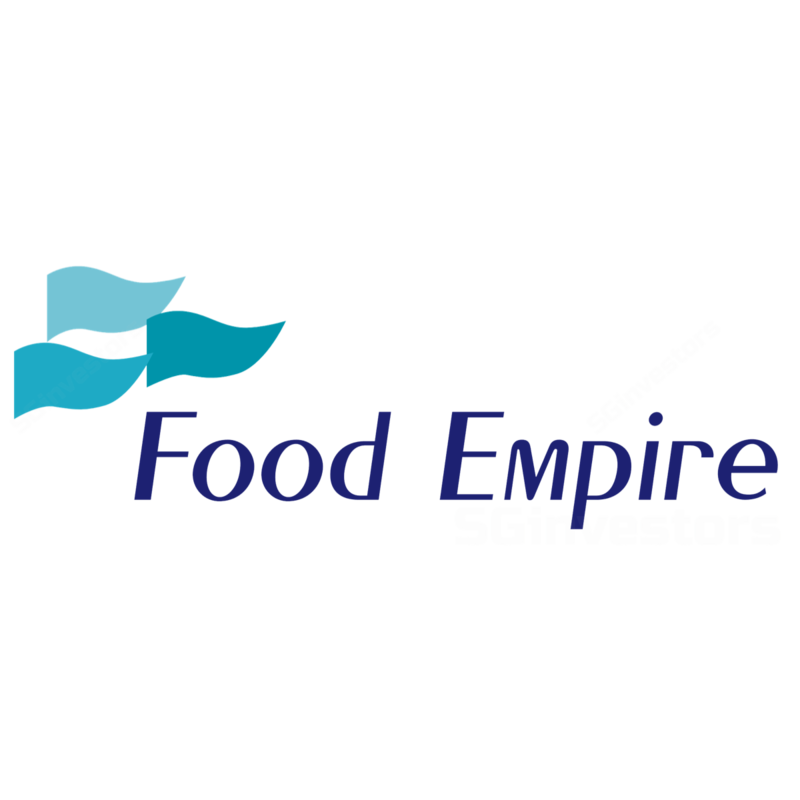 Ltd.
Acquisition of shares in Food Land Empire Pte. Ltd.
INCREASE IN THE REGISTERED CAPITAL OF GUANGDONG FUTURE ENTERPRISES TRADE LTD. CO. COMPLETION OF THE SUBSCRIPTION OF SHARES IN CAFFE BENE CO., LTD. SUBSCRIPTION OF SHARES IN CAFFE BENE CO., LTD.
FOOD EMPIRE SETS UP USD24.0 MILLION JV WITH INTENTION TO INVEST IN CAFFEBENE CO., LTD. SUBSCRIPTION OF ADDITIONAL SHARES IN EMPIRE MANUFACTURING SDN. BHD.